Dear Candidates, Are you searching job in IITM Pune Bharti 2019? If yes then here is great news for you. 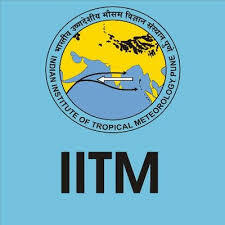 The Indian Institute of Tropical Meteorology (IITM) has released a total of 15 jobs for Project Scientist D, Project Scientist C, Project Scientist B, Scientific Assistant Grade C, and Project Assistant posts. Official Notification PDF is given in this post, read it carefully and if you are eligible for IITM Recruitment then apply online by filling the online application form. Online Registrations are available on IITM Pune Official Website www.tropmet.res.in and it will open till 5th April 2019, after that online registrations will close. You will get brief information like Educational Qualification, Selection Process, Eligibility Criteria and Important Dates in the below article. So read this article till the end to get all the information regarding this recruitment.